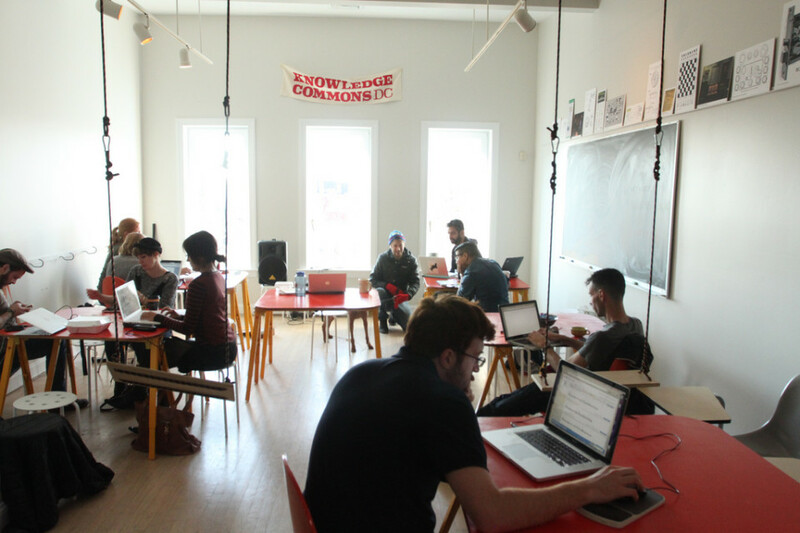 The future is now for #learning communities. Is Connectivism a Learning Theory or a Phenomenon? Its been awhile since I posted. I don’t seem to have the time lately. It’s not because I’m binging on Netflix. I’ve been working! Here’s a selection of some of the online courses where I was the Instructional Designer. Click the name link for a larger view. A coworker and I developed this a couple of years ago. We based it on researched practices, specifically the Blackboard Exemplary Course Rubric, and the Quality Matters rubric. This course was the first online course for the Art department at the UIC College of Art, Design, and Architecture. It took quite a bit of work, as this was the instructors first experience teaching online. We developed it using the Exemplary Course Template, using general themes from the instructors published book, then going to units based on the text for the course. the first pict here is the welcome and overview for the course. This page is the opening screen for The Ledger section with a representative photo and objectives for this section. We also added a table that listed all that was expected of the student each week. Also the first online course for this instructor. I took it over from a colleague who worked hard with the instructor to get the syllabus elements created. I helped the instructor get it all together using extensive video clips and Microsoft Sway presentations. This course was quite a challenge, as the instructor was using five different technologies in the course. We tried to simplify the layout and make sure students could easily access all the information and links to the tech. This picture shows the layout of the content units. I suggested an approach using the individual subject areas as laid out in the text, so students could clearly comprehend what they were working on for the week. This was a redesign of an existing team based learning online course. I convinced the faculty member to organize, simplify, and inform, which made for a much better experience for students. Over the last couple days one of the images from my masters thesis and from this blog has been retweeted and liked more then 20 times. Thanks for sharing Mr Hinchcliffe @dhinchcliffe and others. I know 20 isn’t that many, I’m sure many out there get hundreds of retweets, but for me it was pretty satisfying. What made it surprising though, is that the image was from a five year old post, which of course caused me to reflect on how much has changed. How an online community uses learning strategies throughout the internet to learn. The above image and the same being retweeted was my attempt to explain how some influential learning theories could be used to conduct informal learning online. My research uncovered many learning theories and I came to the conclusion that the Cognitive, Constructivist, and Connectivist theories of how we learn, could all be used to learn online. Whats interesting now, is to see this actually happening. Since this image was created 5 years ago, online learning has made many headlines. From the early cMoocs of Siemens @gsiemens and Downes @oldaily to xMoocs @coursera, @edXOnline and, many, many universities. Online learning has become popular and profitable. Learning is happening everywhere right now. On social networks, as evidenced this week, and through out the internet informally and formally using the explosion of educational technologies and devices many schools have adopted today. So while I agree with Mr Hinchcliffe that “Communities for #learning are changing everything about how we prepare for the future”, I say the future is now. We have already changed, and our continually changing, how we connect with communities .We are prepared to choose how and where we learn what we want to know. Our community is a Twitter PLN, the blogs we follow, and even the reviews read on Amazon or Yelp. The future for online learning is bright and plentiful. Share it, write about it, and of course retweet it. Who, what, where, when, how and why. 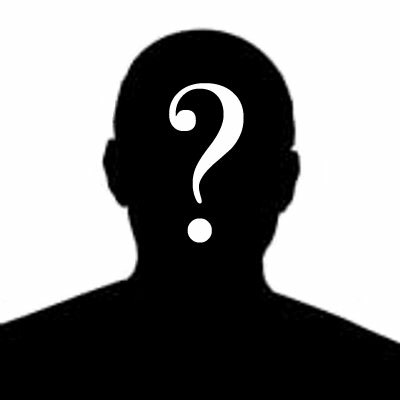 These questions are the usual suspects that drive conversations and “who done it” mystery novels. They are also essential questions in journalism, research, and education. Lately though, I have been thinking more about the “why”. I seem to notice more “why” questions being asked, especially in education. Why does public education have so many issues? Why does a college degree cost so much? Why do we need MOOCs or online learning? Theses are all good questions, but I would like to focus on some other “why’s, that may have a more positive impact on education. I attended the Slate Conference last month and saw the keynote address by Dr. Kimberly Lawless a faculty affiliate with Learning Sciences Research Institute, and a professor and chairwoman of the Department of Educational Psychology at UIC’s College of Education. In her presentation she asserted that instructors shouldn’t just focus on what students need to learn and how they will be taught, but should instead explain why the mastery of a subject or concept is important, and why students should learn it. Students should be told the reasons why they need to learn the content provided by the instructor. Dr. Lawless advocates for providing authentic learning experiences using problem based leaning (PBL). Her GlobalED2 project keeps students immersed in real life situations while dealing with critical world issues like water scarcity. During her keynote, she discussed a book by Simon Sinek entitled “Start With Why“. In his book Sinek proposes that “people don’t buy what you do, they buy why you do it”. Sinek has a model that codifies the three distinct and interdependent elements (Why, How, What) that makes any person or organization function at its highest ability. With “why” in the center circle surrounded by “how” and “what” in the outer circles he proposes that a computer company like Apple for instance is more successful then their competitors because they explain the reasons why a customer would want a computer or smartphone. By demonstrating through their advertisements all the things you can do with their devices, not just the specifications and price of the hardware, they give someone a reason to buy their products. Many in the high tech community only communicate the how and what of their products and give no compelling reason to act. Apple not only answers the “why in their ad’s, but also infuses “why” in their philosophy of business. Apple preaches that their mission is to make products “that empower people”. Their aim is to inspire their customers to create, share and make a difference. Dr. Lawless relates this same model of placing “why” in the center to the teaching and learning process. She stresses that a student could potentially be more motivated to learn about a particular subject when they know the why. They have an incentive to understand the importance of learning scientific concepts like the water cycle, pollution, and desalination of a country in need, in order to be able to solve water scarcity issues. A learner inspired by the difference they could potentially make in the world, takes action to improve their ability and knowledge. 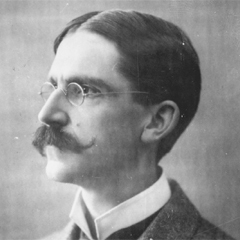 A hundred years ago, John Dewey hinted at the “why” question when discussing the subject of “interest” in his essay “Interest and Effort in Education”. Interest, he notes, means “being engaged, engrossed, or entirely taken up with” a particular subject. Explaining the reason or purpose, by discussing the” why”, certainly seems to have a similar effect in sparking interest. 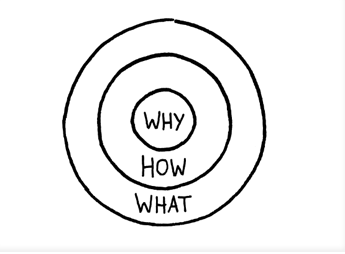 Students though, aren’t the only ones that need to know the why. Instructors would also benefit greatly. In his post entitled “The Calling of the Online Teacher and Having a Compelling “Why” Dr. Bernard Bull Associate Professor of Education at Concordia University Wisconsin lists some “Why” questions online instructors should reflect on to improve their practice. He also contends that it is very important that a teacher teach from a compelling “why”. Dr. Bull poses “why” questions like “Why do you teach in a given context and for a given group of learners? Why does it matter to you and others?” He says that “great teachers always seem to have a clear “why?” that inspires them, that helps them persevere through the challenges, and that encourages them to remember that what they are doing is a calling and that it has deep significance. So it seems that “why” is not just simply a plot twist in a classic crime novel. It is an inspiring meaningful question that Dr. Bull remarks,” helps us keep a passion for what we do, to devote the sort of time, care and energy required to do it well”. This reflection has encouraged me to start thinking more about the “why.” I hope to integrate the practice in to my work, research and personal life. Why? Because I believe that if you are going to do something, anything, you should strive to do it well. And I believe in the power of “Why”. Do You? In my continual quest to understand how we learn, I recently found this paper on Connectivism. This research report by Frances Bell brings up some interesting critiques of Connectivism as a learning theory. Though it is from 2011, the questions she ask’s and the points that are made still seem valid today. It questions whether connectivism can truly replace other learning theories whether it can just complement them, or can in fact even be called a learning theory. for the digital age. This is a tall order for so young a theory, as it is yet untested: This may account for its lack of rigour. In this paper, the author not only looks for one learning theory but rather theories that will help us to understand and make changes as learners, teachers, and learning technologists in this evolving context. make change in this dynamic, sociotechnical environment? That is still open to debate. She says that we cannot yet expect a single, all-encompassing theory in this context for learning, if indeed we ever could. Example: Flexible learning (Bigum & Rowan,2004); Social Learning Theory (Stewart & Williams, 2005; Williams, Stewart, & Slack; Vygotsky’s ZPD(Chaiklin, 2003) Example: (Griffiths & Light, 2010) and Third-generation activity theory (Engeström, 2001). Example: (Engeström & Kerosuo, 2007). The final conclusion of this article determines that in the current dynamic context for learning and education, connectivism alone is insufficient as a theory to inform learning and its technology-enabled support in an internetworked world, and that as the scope of changes in learning enabled by technologies increases, so does our need to expand the repertoire of theories and research approaches. I started the day with a challenge. Find a syllabus to use for my badge #2 assignment in the #Beyondlettergrades Mooc. I wasn’t about to settle for any plain, boring, or simple syllabus. No, I wanted something different, interesting, difficult even. I wasn’t just trying to pocket the badge, I wanted to really learn something. Luckily, my search paid off right away. I clicked on Learn from the Best: 10 Course Syllabi by Famous Authors and was off and reading. 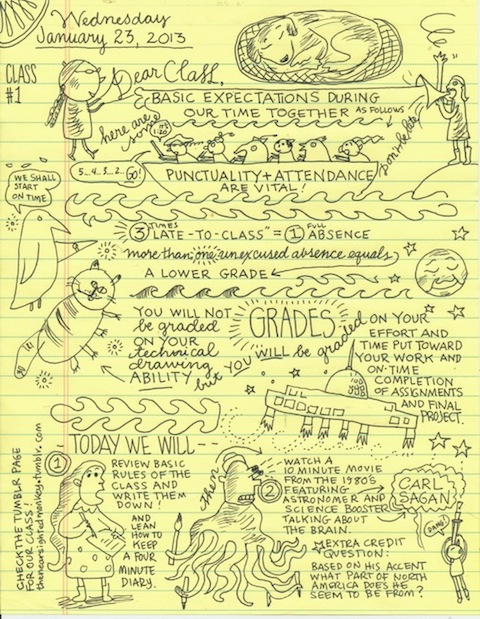 The first syllabus that intrigued me was Lynda Barry’s syllabus for her class “The Unthinkable Mind” at the University of Wisconsin-Madison. It was very creative and interesting, but it wouldn’t work for this assignment, there was no real structure to the grading or any mention of letter grades. It’s refreshing to see a syllabus that mentions an assignment like watching a Carl Sagan video, while eating candy, and doing coloring with crayons. Lynda Barrys’ syllabus was exactly the opposite of typical and may be a more effective way to get students interested in the learning available in this course. In order to earn the badge though, I had to answer a series of questions. That didn’t seem possible for this syllabus, so I moved on. Most of the syllabi from famous authors were pretty esoteric. They included poems and quotes, and were often merely lists of books or stories. This didn’t make me happy. I was ready to pick apart an unsuspecting syllabus, and stomp on it while questioning it’s real purpose in facilitating student learning. Then while clicking on the 10th of 10, I found it. It was dark and grey; written with a typewriter using single space, and it was long. 7 pages of rules and lists; assignments and warnings. Laying down the law with section titles like REQUIRED TEXTS, COURSE RULES AND PROCEDURES, and WEIGHTED DETERMINANTS OF FINAL GRADE. It was complex and defiant, even adding a section that listed Reasons why a student would plausibly decide not to remain enrolled in this section of English 67. So I pounced on it, dialing up my questions provided by Dr. Bernard Bull. 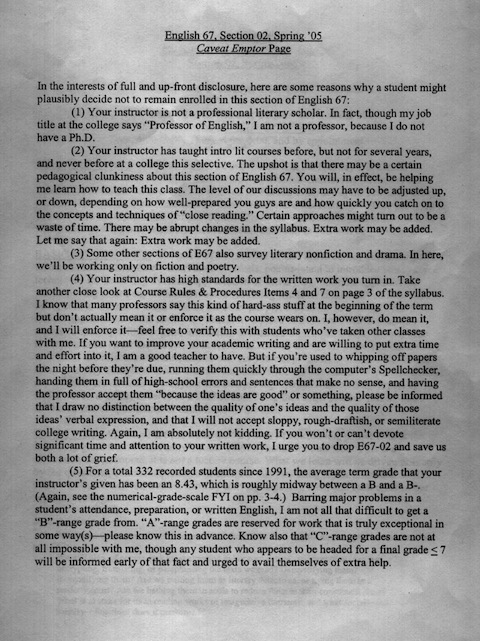 This syllabus was for English 67 Literary Interpretation at Pomona College. The instructor was David Foster Wallace. I hadn’t heard of him so I asked Siri. Turns out he is an author known for very long books, one thousand page books. I guess this syllabus reflected that tendency to write long complex texts. It turns out this syllabus is quite celebrated, there is a post from a former student at a la Sophie with comments from other students about the discussions that took place. There is also a page from the University of Texas archives, which has details on this syllabus, and other’s like it, along with links to other work. David Foster Wallace has quite a tragic story, but his books and syllabi live on through the internet. Second Question – What are the limitations of the grading plan? 1. Requiring participation. Even from ” the clinically or cripplingly shy. 2 Grade dependent on timeliness of students performance-“You are required to do every last iota of the reading and writing assigned”- “There is no such thing as Falling a Little Behind’- “Chronic Lack of preparation will lower your grade one whole number”. 3. Heavy weight to early assignments – “There will 11 unannounced writing assignments(mini-papers) Essays 1&2 -15%; Essay 3 – 30% ; Mini-papers- 20%; Attendance 20%. Third question– What is the best grade one could earn without knowing much in the course? Fourth question -What is the worst grade one could earn while knowing a great deal? Determining the best and worst grade possible is tough. Based on the tone of this syllabus, achieving a good grade is a difficult task. All the assignments are subject to this instructors opinion of the students writing, as is the “participation, presentations, improvement, and alacrity of carriage”. David Foster Wallace also states that something graded with an A+ would have to be “Mind Blowingly Good”, and that based on 331 recorded students the average grade this instructor has given is between a B and a B-. Last question- What did I learn from this exercise? Certainly that there are a lot of different interpretations of a syllabus, and that they are very personalized for each instructor. They seem to reflect the instructors philosophy on teaching and learning. A syllabus that is demanding of a students attention and actions does not seem very “learner centered”. Beyond discussions of the purpose and effectiveness of using letter grades, the question becomes -why do instructors conduct their classes like they are a bootcamp? As if the students have been drafted into a course that needs to break them down first, in order for the learning to occur. The last I checked, going to a university was a volunteer endeavor. I see more value in asking a student to make something unique rather then be concerned with their alacrity of carriage. So bottom line, what did I learn? Quite a lot. I feel I have earned my badge. Here is a new pedagogial framework based on a distiction between a monological, a dialogical and a polyphonic form of teaching. The tree forms of teaching are derived from M.M. Bakhtin’s novel theory. The process used for the polyphonic form of this framework bares some resemblance to the learning theory of constructivism, which states that learning is an active process of constructing knowledge rather than acquiring it. Knowledge is constructed based on personal experiences and hypotheses of the environment. According to Niels Jakob Pasgaard, in the polyphonic form, the objective is for students and teachers to gain mutual understanding and knowledge through dialogue and collaboration where both parties act as co-learners. The polyphonic form is based on the idea that knowledge is created through an exchange of many different individuals’ perceptions of the world, and learning is seen as the student’s participation in this mutual exchange. Communication within this form of teaching thus becomes polyphonic, and is initiated and controlled by both teacher and students. Whereas the teacher is seen as an expert within the monological and the dialogical forms, she has the role of an equal collaborator in the polyphonic form. Social constructivism also emphasizes the importance of the learner being actively involved in the learning process, as opposed to depending on the teacher to deliver knowledge while the learner passively receives it. This framework, while not actually referencing constructivism, appears to lay out a pedagogy that can take advantage of constructivisms theory of how we learn. This article brings up some good points. It is geared toward adults but it also is appropiate for a younger audience. So what can we teach younger students about learning to learn? We should ask students if there is a topic that they constantly find themselves coming back to in their reading and conversations? One that, once you start reading about it, the hours pass like minutes? Asking them to think about this, can stir up their passion for a subject, which then may lead them dive in to it further, through research and other experiences. Getting students used to this process of investigating their interests, may induce them take the same steps when researching required material in their classes. Then they are not just learning, but also learning how to learn. This may lead to happy fullfilled lifelong learners. This article discusses that educators have known for 30 years that students perform and learn better when given one-on-one tutoring and mastery learning—working on a subject until it is mastered, not just until a test is scheduled. Peter Norvig makes a case for technology as a possible way to help teachers make their couses more effective by using online learning as a tool. Is a Pop Up School a form of Connected Learning? What’s a pop up school? Is it like a pop up book? Well, not exactly, its more like the pop up art gallery or retail stores that have become common in Chicago. The recession has left vacant storefronts, so why not use them for something. A recent question from Chad Sensing in the CLMooc caused me to revisit my idea to start up such a school. Instilled with knowledge from an education degree, a passion to teach, and a love of technology, I thought about opening my own pop up school. I believe its possible to teach anyone almost anything armed with an iPad. So naturally I thought about finding a vacant storefront, buying some iPads and going to work. The first thing I could teach of course would be how to use an iPad or how to use it effectively at least. There seem to be so many people out there with fancy devices that have no idea how to use them much less use them for learning. It was probably a bit unrealistic to think I could post a few flyers or craigslist ads, get a booth at the local ribfests, or create an inviting space out of an old dollar store and the students would come. That didn’t stop me from often pondering the idea, and going as far as posting the company on my Linked in profile in order to fill a hole in my resume. Unfortunately my resources have never been adequate to pursue this idea. A stay at home Dad with two young kids has neither time nor money. The question though from Chad Sensing recently that asked “How do we make a pop-up school?” on Google + made me think of the idea, and how it may relate to connected learning. My initial thought is that a pop up school conveys the idea that learning can happen anywhere at anytime. It might be online with people from around the world or with your neighbors around the corner. A pop up school can occur in a home setting,(Red Wine Drinking 101 or How to post pictures to Facebook, for example), or it can happen in the town square, teaching children how to make bead art. I believe learning, and school for that matter, shouldn’t just happen at an educational institution. It doesn’t need four walls or desks, or Smartboards or lunch ladies, or principals or overblown budgets. It only needs someone willing to learn and someone willing to teach. A pop up school in the theoretical sense is related to Connected Learning in that it also can make learning relevant to real life and real work. Whether it is just in time, just for fun, or because you just want to know. The focus is certainly on the learner and what they are interested in learning at that moment in time. The connections made between Teacher/Mentor and student are completely authentic. I think where I first encountered the idea of a pop up school was a website for the Oklahoma 2010 Creativity World Forum. They created the video here. Since the internet enables us all to learn anytime, they wondered how long will it be before schools are more like events than buildings? They also questioned why we would choose to come into school, if we can learn on our own, at home, online, any time of the day or night? Are schools are always the best places to learn something? Shouldn’t young people be given credit for all the things they learn and the skills they acquire outside school? Why are they not part of our assessments in school? Some recent searches reveal other organizations looking in to this same idea. 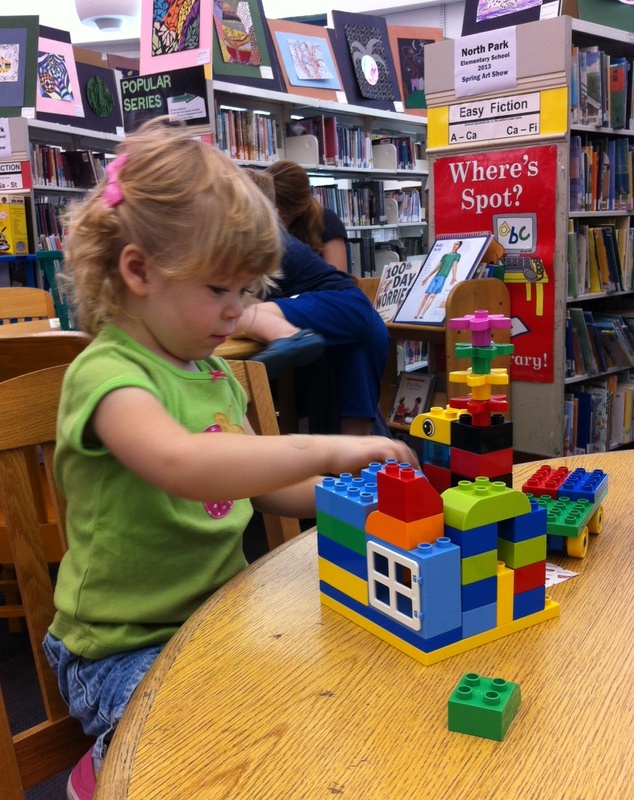 Dean Groom posted “Why we need pop up schools” last year on his blog. He argued that all a pop-up school needs to get past an idea to a reality is creative thinkers who like to do, not talk – and temporary space that is accessible. I hope he wasn’t talking about me. 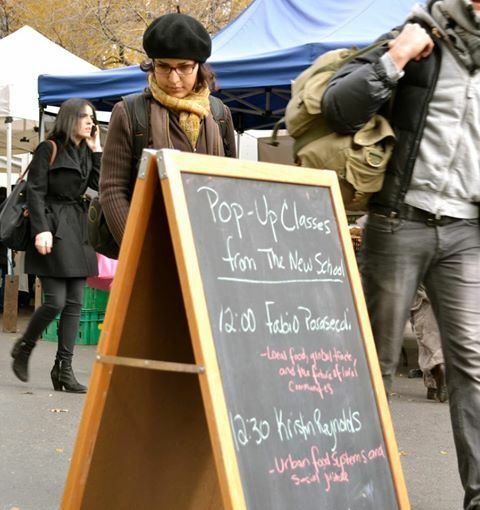 The New School in NYC recently held some pop up classes on Urban Farming. Creating classes at the Union Sq. Greenmarket, they invited participants to: “Come and see what your community is doing”. My local library now has some seminars like these about native plant gardening. Not exactly a pop up school but close. Knowledge Commons DC runs what they call a floating school. They have been around since 2011 as “a free school for thinkers, doers, and tinkerers – taught anywhere, by anyone, for everyone”. Their website states that they are dedicated to forging unusual intersections and conversations by providing a platform for free and hospitable knowledge sharing. They partner with existing organizations, individuals, and communities to foster collaborative learning and community exchange. As I reflect on the thinking behind Connected Learning, specifically that we need new models of education, and entirely new visions of learning better suited to the increasing complexity, connectivity, and velocity of our new knowledge society, I can’t help but think that pop up schools fit somewhere in that definition. Pop up Schools are more then simply new models of schooling, they reflect a trend to informalize learning, while also introducing new concepts and capabilities to learners who don’t participate in Moocs, have never heard of a PLN, and may like the comfort of hands on learning within their community. 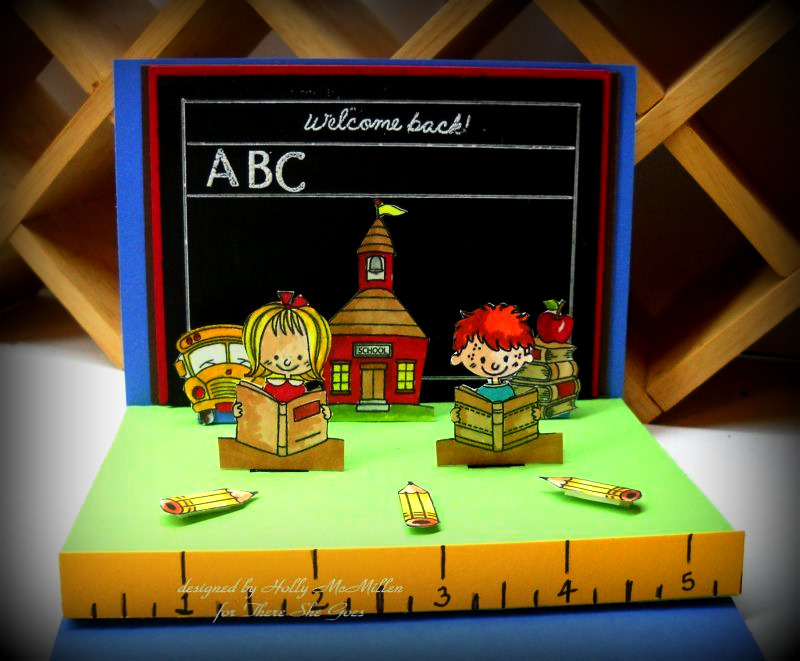 As I finish this post, I can’t help but think I may have started a pop of school after all. I realized long ago that I have to think outside of the box when caring for my my 3 year old daughter, and son who is 6. For us learning happens anytime and everywhere. There are always new interests and new concepts to learn. Not exactly how I intended my school to be, but it’s always a learning experience. How about you? Have you seen any pop up schools in your neighborhood? From Stephen’s Web an online WizIQ presentation that looks mostly at the concept of learning theories and MOOCs. I thought I knew what Connectivism and Connected Learning were. I’ve written about them, I’ve read and curated many articles. Well here’s a new deeper understanding explained by Stephen Downes, one of the founders of Connectivism and MOOC’s. He speaks about Knowledge- its not just in the network- Knowledge IS the network. And about Learning – The "Downes Theory". Then finally, Community- education is not about remembering a body of predifined content, its about the citizens communicating what they know with each other. Its a long piece, but well worth hearing (or you can have a look at the Slideshare). You’ll likely learn something new, or expand your understanding, like I often do when reading Stephen’s writings.